Imagineer's Academy Award-winning mocha planar tracking and masking engine is now integrated inside the BCC PixelChooser allowing editors to do more advanced finishing work without leaving the timeline. - BCC Reframe reformats and stylizes vertical cell phone video footage into a standard 16?�9 aspect for broadcast. Includes options to stylize the foreground and background with blur, stretch, and mirroring. - BCC Light Leaks adds organic and naturalistic "in-camera" light and exposure effects to stylize and enhance footage. The FX Browser?�? can be accessed both in each individual filter and as a standalone to browse the entire BCC effects presets library. The built-in browsing history lets you keep track of your most recent searches. All effects play back over video in your timeline, not just a poster frame. 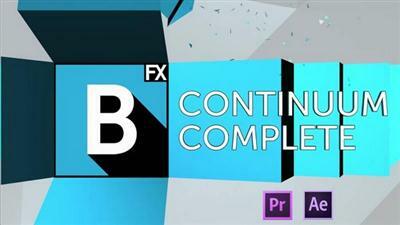 Adobe: Creative Cloud 2014-15, CC, CS6, CS5.5 - After Effects and Premiere Pro. o Large performance boost on QuadroFX cards in 16bit projects for OGL filters such as Lens Flare 3D. o Witness Protection - simplified mocha tracking workflow with single click access to mocha for easy obscuration of multiple moving objects in a single effect instance. o Reframer - New Resample Quality menu to ensure access to highest quality resampling techniques when upscaling content by large amounts. o Video Glitch - 24 new presets. o Match Grain - Improved UI responsiveness and render performance in Premiere. o mocha PixelChooser supports GPU accelerated tracking (OpenCL). o mocha PixelChooser option to suppress the Low Resolution Warning Dialog until the next time the application is relaunched. o Numerous UI workflow refinements. o Installer now includes many pre-configured workspace layouts under the Window->Workspace menu. o New contextual control command in the timeline track to rescale all nested track's keyframes to align with the parent track. o Support for importing Title Studio .blu files into existing Title Studio compositions to allow easily repurposing project sub-elements. o Gradients styles can now be applied to splines, primitives, and text runs. o Infinite groundplane regardless of scale or zoom. o Wireframe camera instead of solid camera icon.